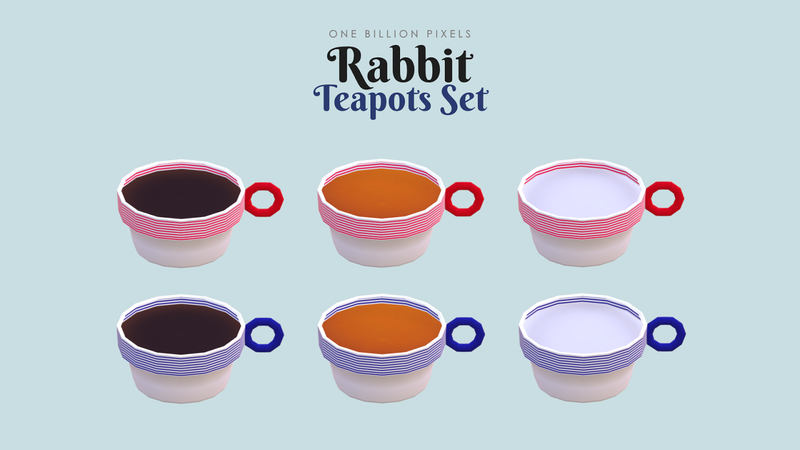 I made this set based on real version one I saw HERE. There's another animal sets but I like the rabbit one a lot so I only made this. 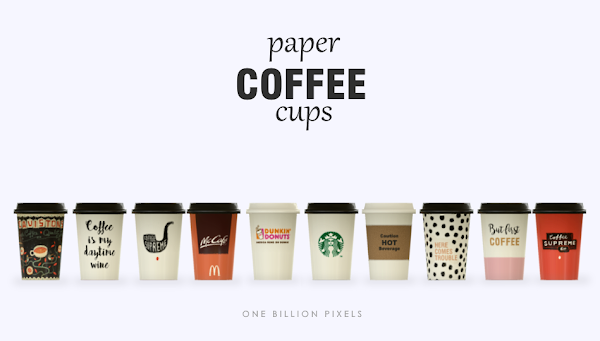 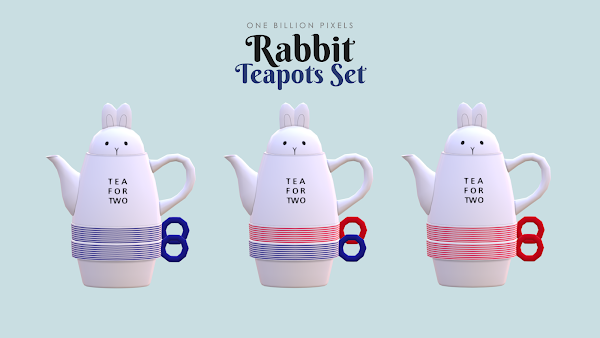 Also I forgot to make the teapot minus cups version. 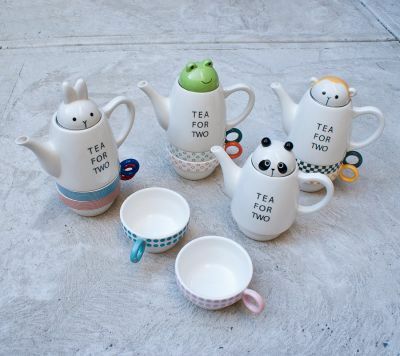 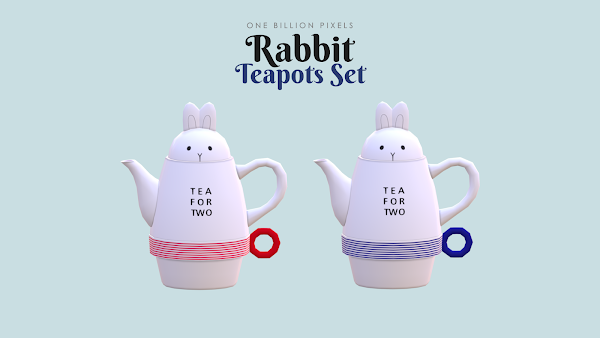 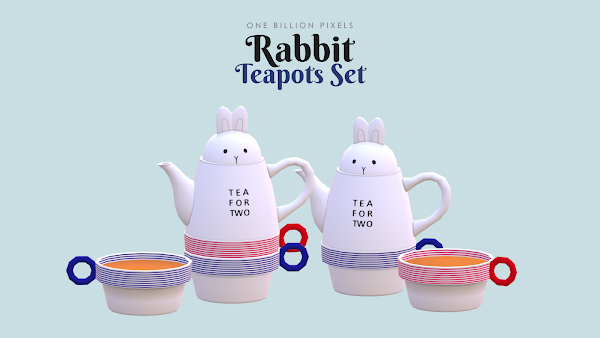 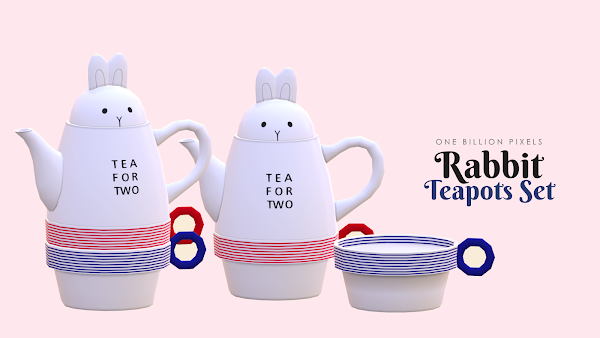 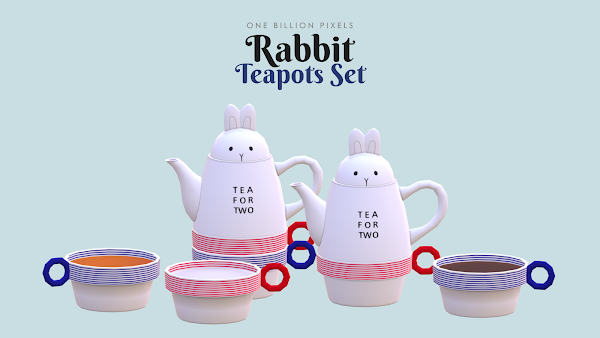 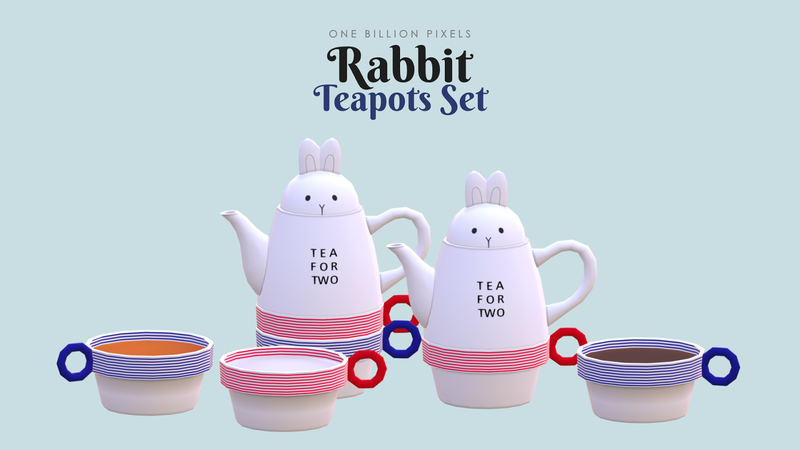 Anyway, you'll get 2 teapots and 1 cup with 3 versions (tea, milk and coffee).